GIBC Digital, a global technology firm, has announced that it is opening an office in Freeport, Grand Bahama. Headquartered in New York, the company also has offices in Boston, Stamford, Tampa, London, Hong Kong, and Singapore. The Freeport office will serve as the company's global training headquarters and become the location for its new data and artificial intelligence centre. NEW YORK, May 2, 2018 /PRNewswire/ — GIBC Digital, a global technology firm, announced today that it is opening an office in Freeport, Grand Bahama. Headquartered in New York, the company also has offices in Boston, Stamford, Tampa, London, Hong Kong, and Singapore. The Freeport office will serve as the company’s global training headquarters and become the location for its new data and artificial intelligence center. GIBC Digital will establish the office with an initial $2.5 million investment. The investment will enable the hire of 50 people to do both local and regional work focused on automation, cyber security, and data intelligence. In addition to this direct investment, the company will invest another $1 million of its resources into training its new employees. It has been estimated that for each skilled job created, another 2.5 jobs will result in the local non-tradable, service, and tourism sectors, which would mean a projected economic impact of over $10 million in the first year alone. It is GIBC Digital’s plan to expand its Bahamas operations to over 150 employees and build a state-of-the-art data and artificial intelligence center within three years, resulting in an expected economic impact of $50 million by 2020. 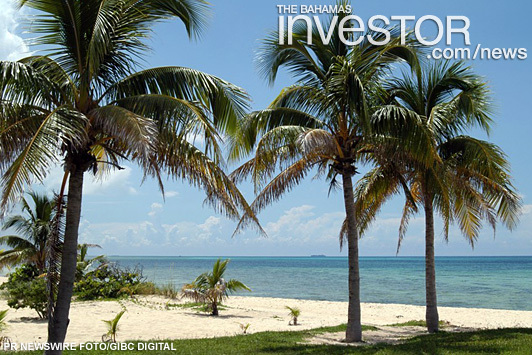 Preliminary economic indicators suggest that the domestic economy continued to expand modestly during the month of March, according to The Central Bank of The Bahamas latest Economic and Financial Developments report. Read the full report here.